Happy New Year and Happy Birth Day to the Sustainable Development Goals (#SDGs). Jan 1st 2016 is the first day of a more socially inclusive, environmentally friendly world…and NAYD has an important part to play in making it happen. Its hard to believe that the world committed to these goals last September, but commit they did…to ending poverty and hunger, to quality education, clean water and sanitation, to gender equality…and most important of all, to climate action, to protect the world from uncontrollable warming, for without that there will not be a world worth living in. So how is Africa going to implement the #SDGs? NAYD has the following questions to ask each African nation and its governments. Will you develop a clear strategy on how the #SDGs will be implemented? Will the process be inclusive and participatory? Will future spending reviews ensure a coherent cross-department #SDGs delivery? Will a Government Minister be appointed for day-to-day responsibility of the #SDGs? Will you allow and support progress to be independently reviewed by academia, business and civil society? 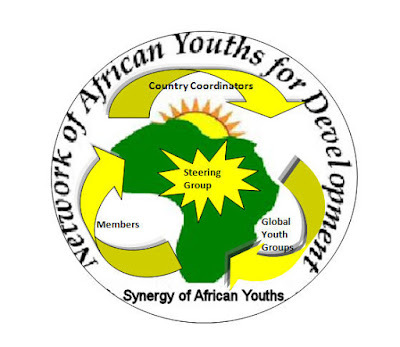 NAYD has a wide reach across the continent and beyond and commits to using its network to both assist and monitor each country and the continents progress over the next 15 years. Its in all our interest to make this sustainable future happen. Lets hold hands. Together we can do it.